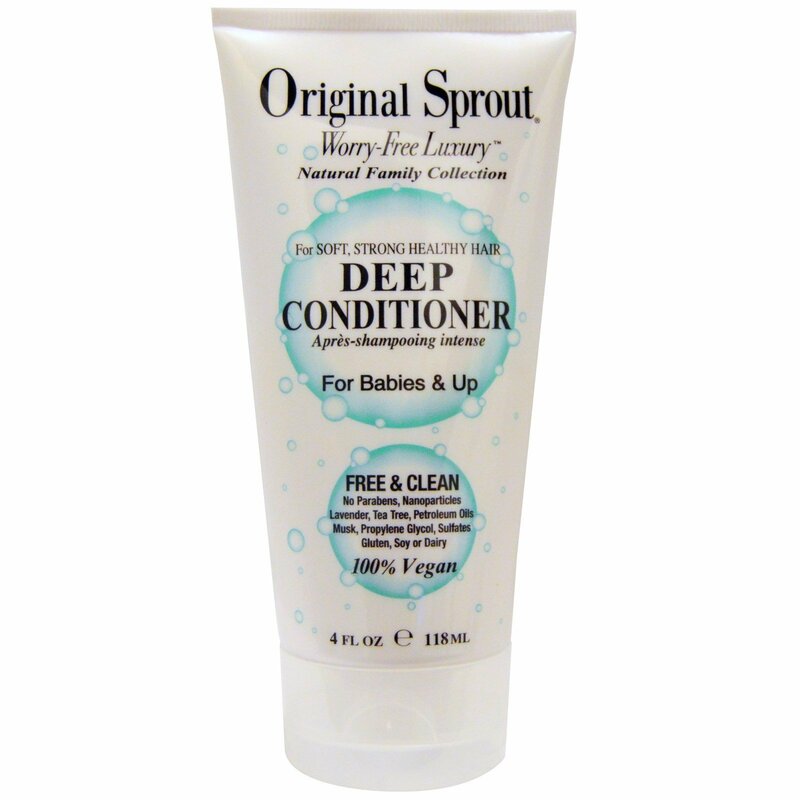 Original Sprout was created by Inga Tritt, Mother & Master Stylist. Families & Stylists trust the formulations because they work with safe & soothing ingredients. Aqua [water with extracts of organic rosmarinus officinalis (rosemary) leaf, organic (calendula) officinalis flower, organic cucumis sativus (cucumber) fruit, organic vaccinium macrocarpon (cranberry) fruit, organic (arnica) montana flower], aleurites moluccana (kukui seed oil), vegetable glycerin, cinnami-dopropyltrimonium chloride, stearyl, stearyl/cetearyl/cetyl alcohol, amodimethi-cone, dimethiconol, ppg-3 benzyl ether myristate, cetrimonium methosulfate, potassium sorbate, cetrimonium chloride, polyaminopropyl biguanide, cyclopentasiloxane/cyclotetrasiloxane, quaternium-91, hydroxyethylcellulose, parfum with natural extracts.